Recon by Fire #4 (RbF4), labeled Fall 2006 but released in February 2007, was the final issue of the magazine, though this was not realized at the time. RBF4 was eagerly anticipated by ASLers (and no doubt HOB anticipated that it would be popular), but when it finally came out, it was a big disappointment, for the same reason that it had been so anticipated: its bonus countersheet. 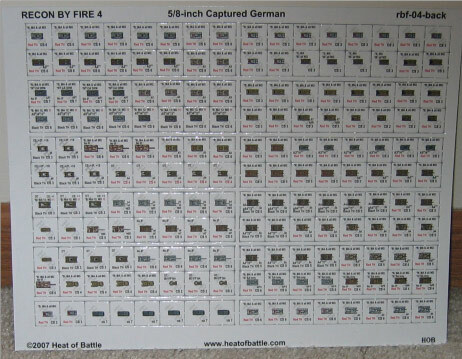 HOB announced that RbF#4 would focus on “Germany’s Captured Vehicles,” with scenarios featuring Soviet, French and other vehicles in German service. The kicker, though, was that included with the issue would be a full-sized sheet of die-cut counters, the first from HOB since the impressive counters that appeared in Onslaught to Orsha. Unfortunately, however, a printer error resulted in the counters being printed incorrectly: the counter fronts were printed on the counter backs and vice versa. Thus all the vehicles were “wrong side up” in the sense that their wreck sides were on top of the counter. Apparently, the printer refused to reprint the countersheets at their own expense and HOB decided to release the product “as is,” with the defective countersheets. To make matters worse, some (though not all) countersheets had counters that were poorly centered and, in some cases, had numbers that were partially cut off. Moreover, of the 14 scenarios included in RbF#4, only 6 of them made any use of the new counters. The disappointment that followed was palpable and largely (and perhaps somewhat unfairly) overshadowed the other components of RbF#4, but wargamers in general hate to play with inverted counters. To make matters worse, HOB had released RbF#4 at the same time as two other products and had even offered all three together as a bundle, so for some gamers, the disappointment over the counters not only overshadowed the rest of RbF#4 but also the other two products. UPDATE NOTE: Later in 2007, HOB printed a corrected version of the countersheet which fixed the problems of “backwards” printing and poor registration. The new countersheet is far more useful and attractive than the original version of the countersheet. Copies of RbF#4 bought directly from HOB after September 2007 should include the new countersheet. However, used copies or copies sold by on-line retailers might have the earlier, far less desirable version–players should beware. Owners of the original countersheet can obtain a “free” replacement sheet (free if some other HOB product is ordered; otherwise, one must pay a “shipping & handling” fee). 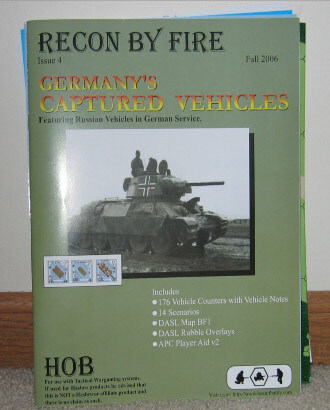 In addition to the counters, HOB includes 6 color pages of “Chapter H” style notes for the new vehicles. The notes are interesting and have a lot of information. 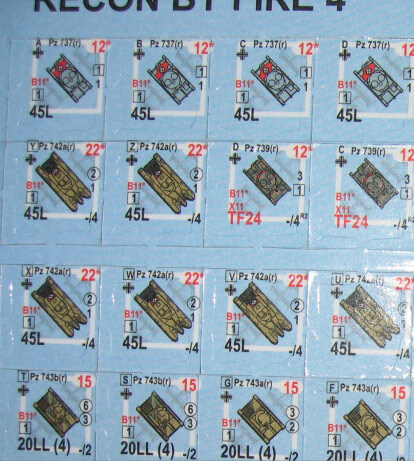 One peculiar twist to the counters and notes is that throughout the German re-designations of the AFVs are used rather than the original names. Thus a T-34 is actually referred to as a PZ 747b(r). It would have been nice to have had the original tank designation somewhere on the counter as well (or instead), even if only on the back. The article content of RbF#4, as before, is slight. Worst is yet another set of fake ASL rules, which have a history dating back to Avalon Hill’s ASL Annual and have an equally long history of not actually being funny at all. The (interminably long) fake rule here is for a German ghoulash cannon. Most interesting are the designers notes for Onslaught to Orsha; most useful is an almost comprehensive collection of HOB Errata and Q&A. It is not, however, actually comprehensive, which is somewhat controversial. Four products have no errata included, even though errata exists for them. One of these is the HOB version of Blood Reef Tarawa; the errata just refers people to the MMP version of the game. This is of little consequence, as there are probably no ASLers who play the HOB version. However, HOB also excludes errata for its product God Save the King, referring people to MMP’s A Bridge Too Far. However, the latter is NOT the same game as the former, and people who own God Save the King might justifiably be a tad irritated. The real issue, though, is the lack of errata for its two SS scenario packs–which HOB reprinted at that time. This led many to suspect that the exclusion of SS pack errata was deliberate, in order to get more people to purchase the new, updated version rather than simply incorporate errata into the older versions they already owned. 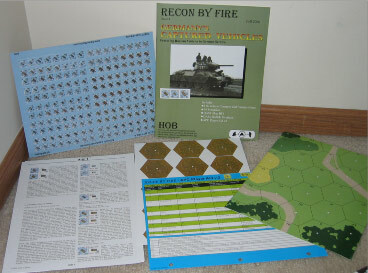 Of the scenarios, 11 are original and 3 are reprints from the Hell on Wheels Battle Pack by Bounding Fire Productions (whose progenitor, Chas Smith, subsequently joined HOB). As mentioned, only 6 of the scenarios feature any new counters (though, considering the printing mistake, this may not be a bad thing). 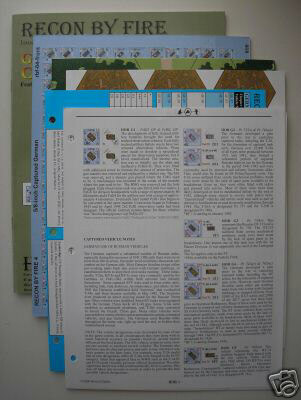 The scenarios are not printed separately on cardstock but are included in the pages of the magazine. Topically, they represent a varied mix, including Poland 1939, Denmark 1940 (? ), Soviet Union 1941 (3 scenarios), Soviet Union 1942 (2 Stalingrad scenarios), New Georgia 1943, France 1944, Germany 1944 (2 scenarios), Belgium 1944, Germany 1945, and China (October) 1945. 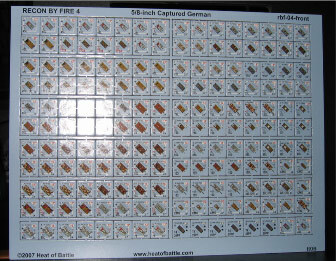 Four of the scenarios are DASL scenarios (RBF-48, The Narrow Front; RBF-49 From Bad to Würselen; RBF-50, A Perfect Match; and RBF-25, Chou En Lai’s Promise); all use the BF1 board. One scenario (RBF-47, Splitting the Seam) uses overlay HOB V-1 from Beyond the Beachhead. Two scenarios (RBF-43, Blood Factory, and RBF-44 Steelingrad) use the Red Barricades HASL Map and will probably be played quite a bit. As has seemed to be an HOB trend for some time, scenarios in RbF#4 tend towards the large. There are 3 small scenarios and 3 medium-sized scenarios; the remaining 8 are large. The other components of RbF#4 are mostly retreads. 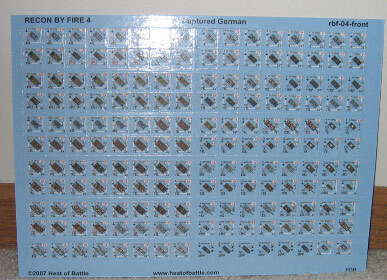 Perhaps most interesting for many is the DASL Map (BF2) and the DASL rubble overlays. However, many ASL veterans will already have these items, as they originally appeared in the Hell on Wheels Battle Pack by Bounding Fire Productions (thus the map name). However, the graphics of the DASL map are considerably better than those of the original. The APC player aid is also a reprint, being a corrected version of a play aid that originally appeared in RbF#2. RbF#4 appears to be an average product, with strengths and weaknesses alike. With a fixed version of the countersheet, it is certainly worth getting. With the misprinted version, its value drops sharply.